Enjoy spectacular ocean views and quick access to all of Waikiki’s major attractions when you stay at the incredible Park Shore Waikiki. 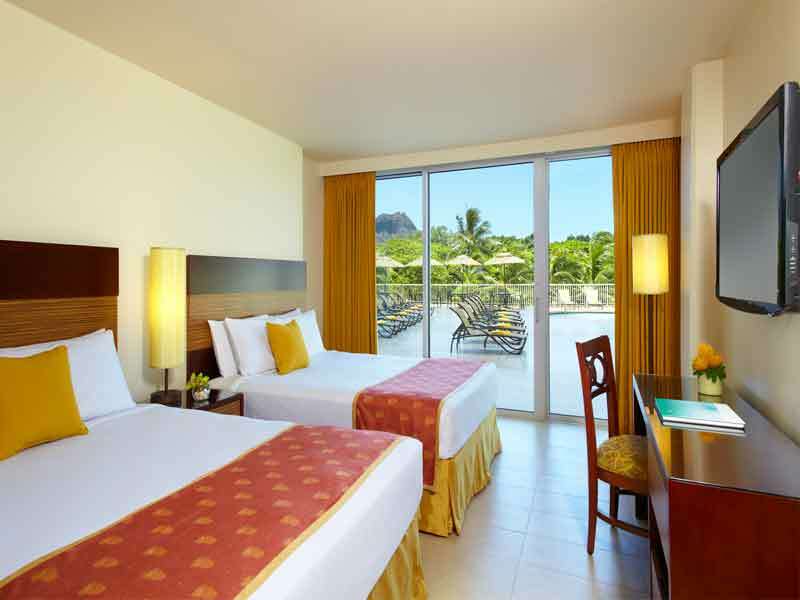 Located at the southern end of Waikiki, this resort fronts both the beach and Diamond Head. Enjoy refreshing coastal breezes, incredible facilities and comfort and a warm welcome from attentive staff. Say Aloha to Waikiki at Park Shore Waikiki! 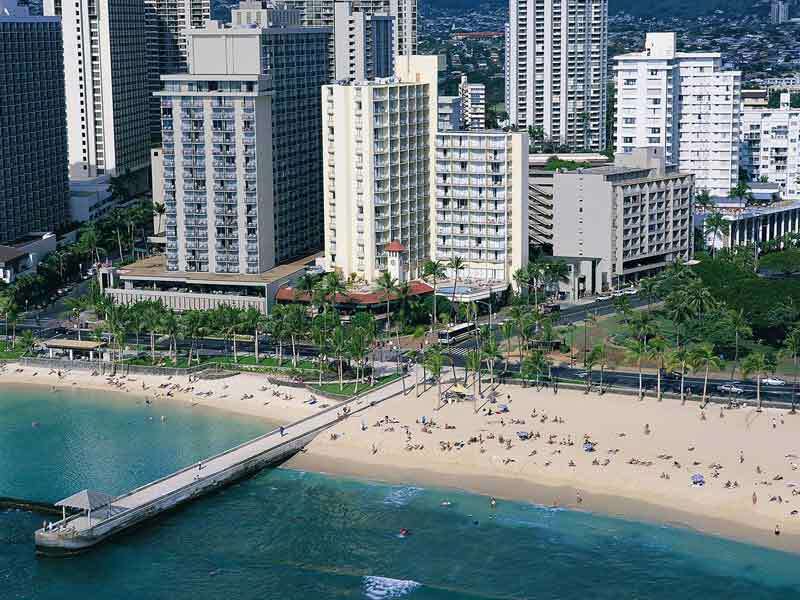 The Park Shore Waikiki resort is conveniently located at the southern end of Waikiki Beach. 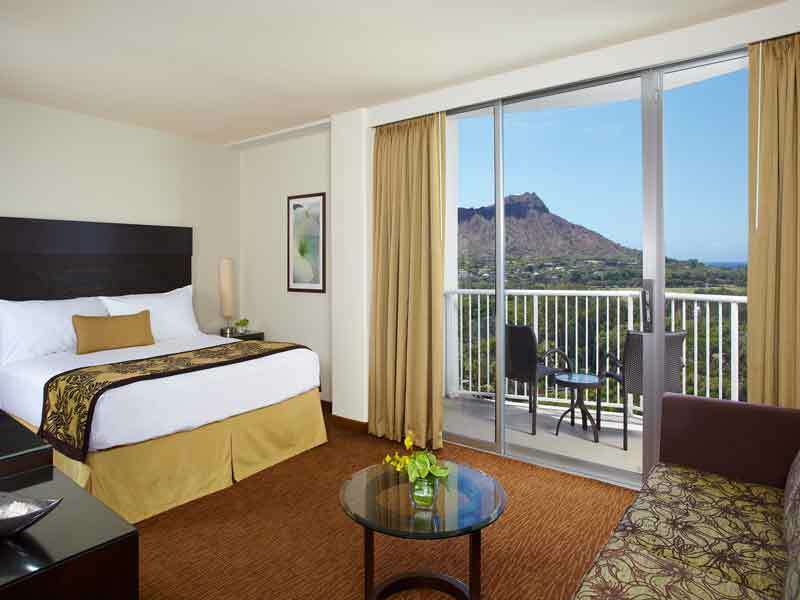 Overlooking both the ocean and Diamond Head, guests can enjoy unobstructed views and easy access to all of Waikiki’s key attractions. The Honolulu Zoo is approximately 300m away and the Waikiki Aquarium is within 1km. Marvel at over 900 species and get up close and personal with marine life that is indigenous to the area. Start your days with a morning walk or yoga class in nearby Kapiolani Park or Kaimana Beach Park and then take your adventuring out onto the water with surf lessons from Park Shore’s onsite Hans Hedemann Surf School! Fuel your days at Park Shore Waikiki with a range of exceptional dining options. The resort features fresh Japanese cuisine, Asia-American favourites and a range of great gran-n-go classics to suite every palate. The 3 dining venues are open daily for resort guests with one, Lulu’s Waikiki serving up to 2am! Make use of the business centre, if you’re travelling for work or spend your days by the pool. Guests can look out over the ocean from the pool deck and try out yoga classes for free! There is a Starbucks Coffee downstairs to keep you energised during your stay, plus there are a range of retail shops and boutiques surrounding, for all your shopping needs! Park Shore Waikiki is the perfect resort for those wanting a comfortable and convenient Waikiki Beach stay. 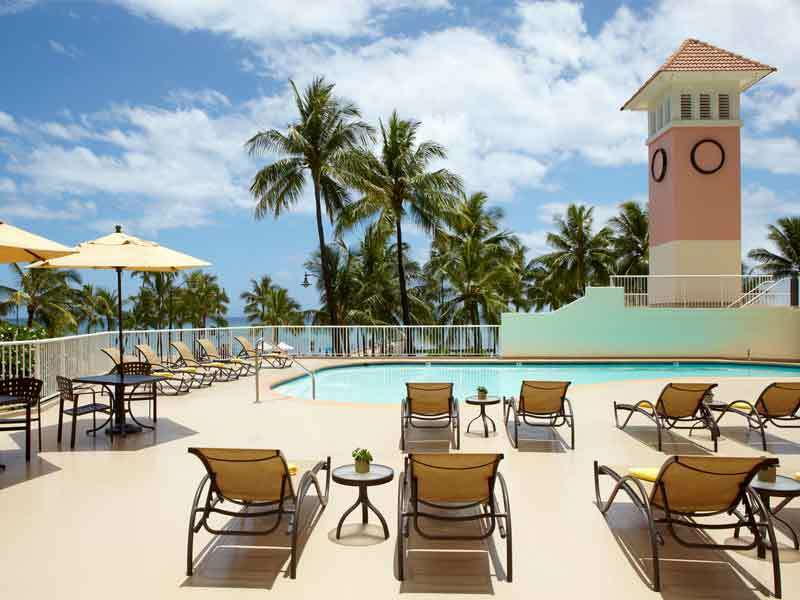 The dual towered resort sits at the quiet end of Waikiki’s main street and is within easy walking distance to a range of restaurants and shops. Hike up Diamond Head and see the monument or opt for a day spent at the Zoo; have a pool day, learn to surf or enjoy a healthy dose of retail therapy! Whether you’re travelling with family, friends or for business, there is plenty to do and see around the resort—there are yoga classes, scuba diving and golf courses nearby, plus bikes can be hired by active guests wanting to cycle between all of the sites! 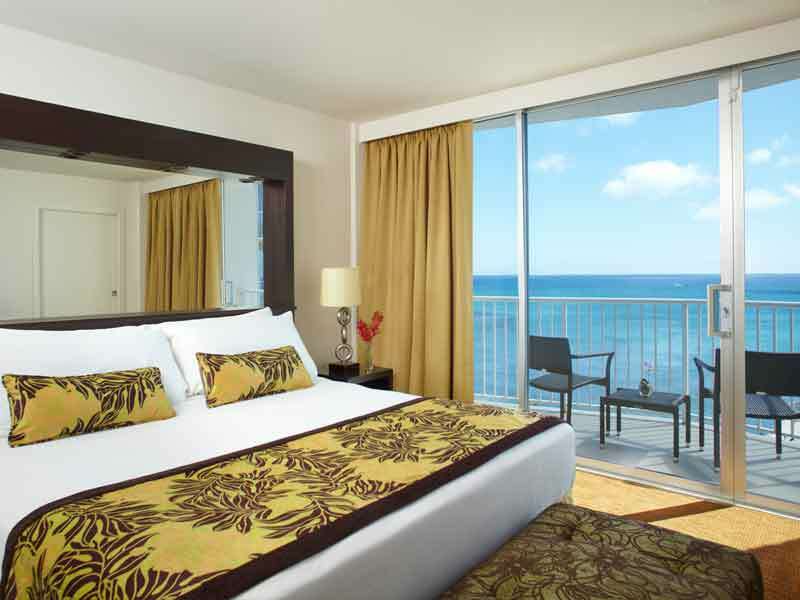 All the rooms and suites at Park Shore Waikiki are newly renovated and look out to the ocean and the mountains—stay here to enjoy ultimate comfort and convenience, while also scoring a treat for your eyes! 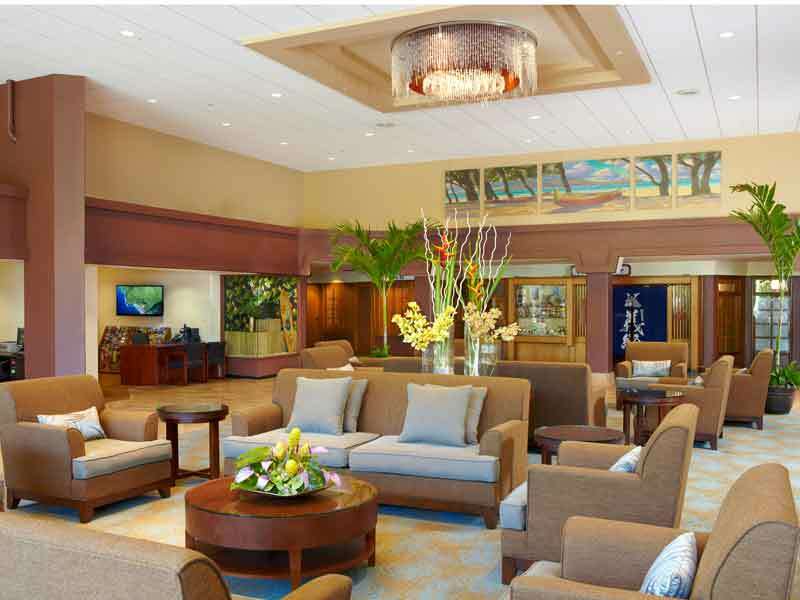 The resort can be used as a base for all your Oahu island tours, with an onsite tour desk staffed with engaging, helpful staff. Arrange half or full day trips over to Pearl Harbour and the North Shore or book in an adventure to the other islands of the Aloha State! Getting to Park Shore Waikiki is an easy journey by car. The resort is located less than half an hour from Honolulu International Airport, so your Waikiki holiday can start straight away! 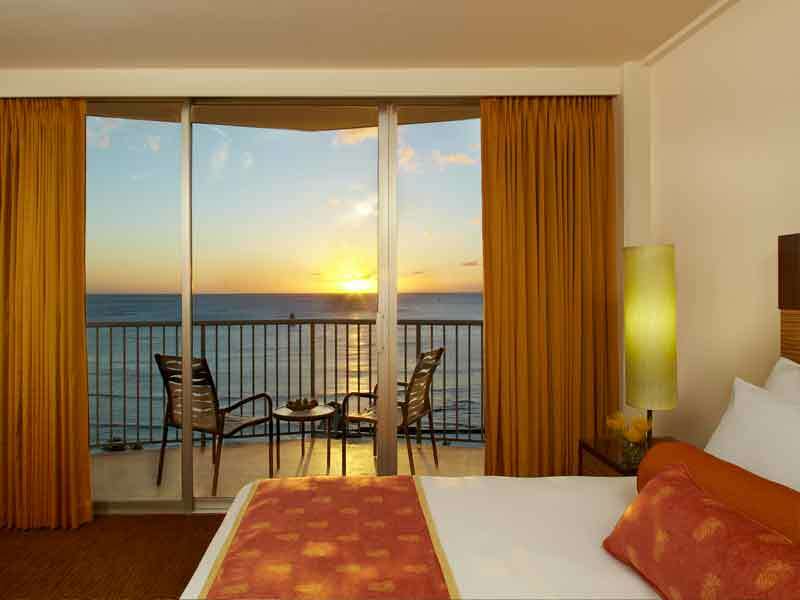 Stay in the Partial Ocean View Room to enjoy days gazing out over the beautiful Pacific Ocean! These rooms have a private balcony to make the most of the cool beach breezes, plus the interiors have been freshly renovated to ensure a comfortable and elegant stay! 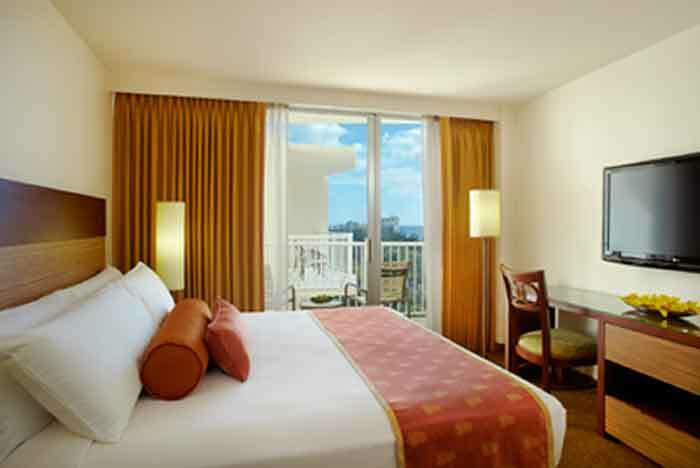 Partial Ocean View Rooms offer 20sq. metres of space and can comfortably accommodate up to 3 guests on either 1 King or 2 Double beds. ChromeCast to your 42-inch LCD TV, make use of the Wi-Fi, enjoy in-room coffee and tea facilities, blackout drapes and a mini-refrigerator. All rooms are non-smoking, feature showers or bathtubs with signature amenities and have air-conditioning to enhance your comfort! The Park Shore Waikiki is located at the southern end of Waikiki Beach, at the quiet end of the main street! The resort fronts onto the beach and sits are the base of Diamond Head. Stunning parklands sit to one side and the bustling city hub sits on the other. An easy, less than half an hour’s drive will get you to Park Shore Waikiki from the Honolulu International Airport. Shuttles run the 3km journey to the Ala Moana Centre for guests who like to shop, plus there is plenty to do in the immediate surrounding area! Yoga and fitness classes take place 5 times a week at the Park Shore Waikiki. Surf lessons can also be arranged at the onsite Hans Hedeman Surf School. Bikes can be hired near the resort for guests who want to cycle to the beach, up Diamond Head or around the Kapiolani Park. Explore restaurants, cafés and boutiques around the resort, take the shuttle to the Ala Moana Centre or walk less than 1km to reach both the Honolulu Zoo and the Waikiki Aquarium. Golf lovers can play a few rounds at the Honolulu City Ala Wai Golf course. The journey will take 2-minutes by car or 11-minutes on foot! Great value in a perfect position with great ocean views. Staff provide excellent service with no query too small and all service given with a smile. Hotel next to Honolulu Zoo and a great bar next door. Easy access to shops and directly across from Waikiki beach which is maintained in pristine condition. Room was spotless and beds are amazingly comfortable. A beautiful park area is right next door too!